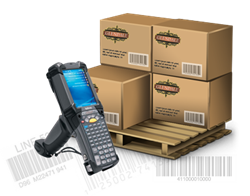 Using bar codes reduces costly mistakes and improves efficiency. The new and improved All Orders Mobile connects directly to your inventory data in real time over wireless networks. All Orders Mobile allows our shippers to very accurately process orders via wireless scanners. The most advanced and cost effective inventory and warehouse management software solution on the market just got better. NumberCruncher today announced the release of All Orders Mobile 3.0 with new tools that give small businesses enterprise level functionality at an affordable price. The NumberCruncher All Orders solution allows you to manage inventory like a pro. Use bar codes already on your items or printed from All Orders. It recognizes vendor part numbers, manufacturer's part number and UPCs. Easily transfer inventory from the warehouse to another location or manage overstocked bins by moving inventory within a warehouse. Shipping orders is more accurate. Avoid over shipping and shipping the wrong items. Receive inventory into stock in real time. All Orders Mobile works with lot numbers and serial numbers. Stop printing reams of count sheets. Instead use All Orders Mobile to accurately perform cycle counts by item, location, bin and lot or serial number. "All Orders Mobile allows our shippers to very accurately process orders via wireless scanners," says Jason M, Manager of Operations of American Quality Foods. All Orders Mobile works with Windows Mobile and CE devices but is also available for Android based devices. A free trial version of All Orders is available on the company’s website, http://www.numbercruncher.com.